Whether it happens at work or during a routine trip to the grocery store, a serious injury can happen at any time. However, the experienced personal injury attorneys at the Massachusetts law offices of Altman & Altman LLP believe that recovering from an injury shouldn't severely impact your life. Injuries can be painful and costly, and if somebody else is at fault for causing your injury you are entitled to compensation to pay for your medical bills, lost wages, medication and any subsequent treatment during your recovery. The best way to ensure that this happens and that you receive all the benefits that you are entitled to is to consult one of our experienced Boston personal injury attorneys. Biking can be a fresh, healthy and fun alternative to driving a motor vehicle through the crowded, commuter-packed streets; especially in Boston. However riding a bike comes with certain risks not faced by people driving around in cars, trucks and SUV's. Being injured while on a bike can result in far more serious injuries than driving in a car, as you have no protections against impact and can be much less visible to motorists. A total of 720 cyclists were killed in 2014 in the United States, equating to about two per day. Many more are injured each day. If you have been injured cycling in Massachusetts, having access to qualified, experience attorneys will pay off when dealing with insurance companies for medical bill payment, lost wages, bike repair and payment for pain and suffering. Our Massachusetts bike accident attorneys are available 24/7, we can be reached at 617.492.3000 or 800.481.6199. The joy of welcoming a new life into the world is an unparalleled happiness. Such an occasion should never result in a consultation with a Boston Injury lawyer, but unfortunately birth injuries happen all too often. Sometimes these birth injuries are the result of unsafe practices or negligent behavior by hospital staff, and can result in permanent damage to a newborn, such as cerebral palsy or Erb's palsy. If your newborn was injured during birth, even if they were born multiple years ago, you may still be able to recover payment in damages as a result, since the statute of limitations on such cases is different than other statutes in Massachusetts. Consulting with a birth injury attorney from Altman & Altman, free of charge, is essential to finding out how you may remedy a birth injury situation. Car accidents occur every day in Boston and throughout Massachusetts. While auto makers have made vehicles safer and more and more people are wearing seatbelts than ever before, car accidents still do happen and the consequences can often be life altering. We have been representing injured victims of motor vehicle accidents for over fifty years. Successfully recovering millions and millions of dollars for our clients. Our track record of success and our client satisfaction with our firm is second to none. Whether you suffer a neck sprain after being rear-ended by a driver distracted while using their phone, or are seriously injured by a drunk driver, our experienced Boston injury attorneys attorneys have handled every type of car accident cases. Working in construction is consistently one of the most dangerous jobs in America. Construction workers are injured at a rate of 133 per 100,000 workers, one of the highest such ratios for any job in the country. In 2015, almost 5,000 were killed while on the job. Construction work involves working in dangerous situations every day, whether it involves working at great heights, using dangerous machinery or power tools or subjecting workers to dangerous environments like underground trenches, there are no shortage of ways to get injured on the job. If you are involved in any construction-related accident, our experienced team of personal injury attorneys will ensure that you can collect workers' compensation and any other forms of recompense owed to you. Dogs truly are man's best friend - most of the time. Sometimes, whether it's the result of bad upbringing, unfortunate circumstances involving an unexpected stimulus or another dog's behavior, man's best friend can turn into a vicious beast capable of causing serious, potentially-fatal damage. Whether you were the victim of a dog who has been raised to be aggressive, or were the unfortunate victim of a bad situation, our attorneys are experienced in handling dog bite cases and will ensure you get the money required to pay for your medical treatment, and ensure any irresponsible dog owners are held accountable as well. Modern medicine, while extending the lives of people and providing treatments to cure maladies simply unheard of just a short time ago, is far from perfect. Experimental treatments, faulty drugs or medical devices with unadvertised risks and negligent medical staff can all create a situation where you are injured through no fault of your own. We put a lot of faith and trust in modern medical companies, because what other choice do we have? When these companies produce a faulty product that results in a serious injury, or they knowingly omit information regarding the product's risks, they must be held accountable. This is exactly what the personal injury attorneys at Altman & Altman LLP will do. Boston, and Massachusetts in general, is the home of fantastic healthcare, but no city in the world is immune from medical malpractice. When mistakes happen, we will hold hospitals and doctors accountable, as these mistakes can result in serious, lifelong consequences. Malpractice can range from small errors resulting in incorrect medication being given, to huge mistakes that result in permanent disabilities. If you have been impacted by any instance of medical malpractice - whether it was related to an error made in surgery, an erroneous prescription, or an injury incurred by a rough handling during routine care, the law office of Altman & Altman LLP is standing by to aggressively advocate on your behalf. Senior citizens deserve to live out the remainder of their years with as much freedom and dignity as possible. Many nursing homes do a tremendous job of giving seniors a place to live and socialize safely, with access to good medical care and plenty of activities to keep occupied. However, horror stories emerge about elder abuse all too often, ranging from verbal abuse and physical harm to inexcusable cases of widespread neglect. If you have any indication that your loved one is being harmed at their care facility, do not waste a moment in scheduling a free consultation with one of our injury attorneys to ensure that whoever is perpetrating such wretched behavior is brought to justice. Injuries can happen at any time, and at any place. Millions of injuries occur at the victim's own home every year, and the personal injury attorneys at Altman & Altman LLP are well versed in how to secure compensation for a wide range of personal injuries, including car accidents, work injuries, slip and fall injuries, defective medical device, medical malpractice, and numerous other areas where negligence has caused personal injuries to an innocent party. While not all injuries are eligible for compensation, getting a free consultation from Altman & Altman is a surefire way to ensure that you aren't left dealing with an injury totally on your own. We have the resources and know-how to make sure we have pursued every possible avenue for you. If you are injured while on somebody else's property in the state of Massachusetts, you may be able to collect compensation from the owner or manager of that property through a premises liability claim. Property owners and managers who knowingly allow people into their premises have an expectation to ensure a safe and injury-free environment in that establishment. Perhaps you slipped on a spot of wet floor inside a clothing outlet, or fell down an escalator because there was no sign indicating that the escalator was dysfunctional. If there was any element of negligence or failure to warn of possible harm, our personal injury attorneys in Boston will ensure that you are rightly compensated for your pain and suffering. Perhaps the most common type of personal injury claim is the slip and fall. Slip and falls can pretty much happen anywhere. Slippery steps, an unlit staircase, a lobby that was not maintained, ice buildup by an entryway. Sometimes a slip and fall may be a legitimate accident, but other times a slip and fall may have occurred because a business failed to take the steps to provide a safe experience for their patrons. In such cases where a slip and fall could have been prevented, the personal injury attorneys at Altman & Altman LLP are incredibly experienced in handling such claims. Slip and falls can result in serious, life-altering injuries with expensive medical bills attached, and we will ensure that any responsible party helps provide payment for your recovery. Many workers go to work every day and find themselves in dangerous conditions and risk serious injuries just as a matter of necessity in order to get the job done. Most of the time it's construction workers that deal with dangerous work sites, scaffolding safety, crane safety, blasting, and numerous other on the job hazards. Work hazards occur at other jobs as well, such as in manufacturing, trucking, warehouse jobs as well as many others. If you have been injured on the job, you have a right to collect workers' compensation benefits to pay for your medical bills and lost wages. Additionally, depending on the severity of your injury and the length of time you miss from work, you may be eligible for a workers compensation settlement as well. Additionally, there is also the possibility of filing a third party lawsuit if another party or product that was cause of your injuries. These are just some of the issues that our experienced Massachusetts workers compensation lawyers will discuss with you when reach out to us for a free case consultation. Our workers compensation lawyers have over fifty years' experience representing clients in front of the Industrial Accident Board. Call us for a free consultation today at 617.492.3000 or toll-free at 800.481.6199. We are available 24/7. Since 1999, David Altman has been representing seriously injured people and their families throughout Massachusetts. 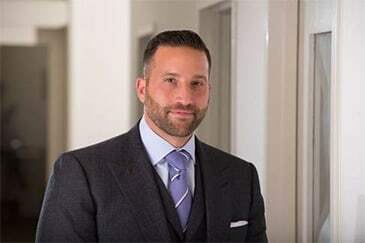 David has recovered millions of dollars for people injured in cases ranging from simple negligence to the most sophisticated and complex liability cases. Johnson & Johnson Likely Knew About Asbestos in Talc Products for Decades A recently-released Reuters report indicates that Johnson & Johnson (J&J) knew about the hidden dangers in its talc products for decades. Have you experienced harmful side effects from Zostavax? Zostavax is an approved vaccination manufactured by Merck Co. Inc. utilized to prevent the contraction of the shingles virus, known as herpes zoster. Complete the contact form or call us at 800.481.6199 to schedule your free consultation.